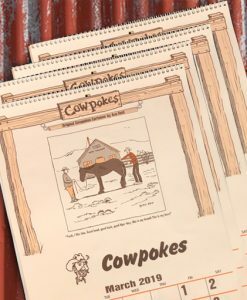 In this order you’ll receive 20 Cowpokes Calendars, 4 of which are FREE! 2019 Cowpokes Calendar Bundles are available! With this bundle of 20 calendars 5 are FREE! 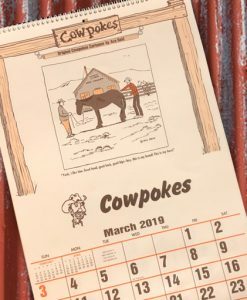 It’s the original calendar for Cowpokes! Every year the Cowpokes calendar comes to you with 12 different side splittin’ cartoons for cowpokes everywhere. Give yourself lots of laughs throughout the year! How about giving a few friends a whole bunch of laughs as well? 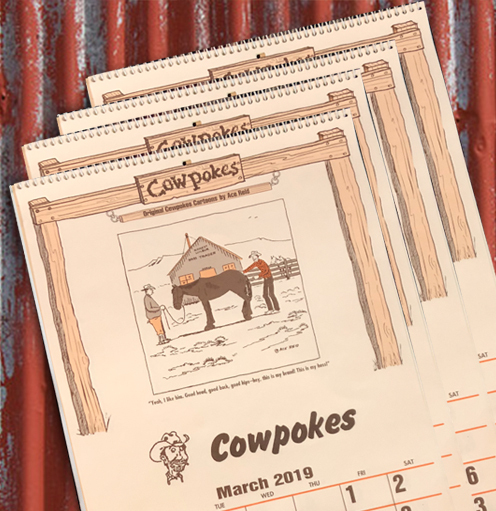 The giving of Cowpokes calendars is a tradition of cowboys and cowgirls world-wide!